New trailer for Netflix's latest sci-fi thriller. Netflix taking sci-fi movies off the hands of doubtful studios is becoming a trend, with the streaming service acquiring The Cloverfield Paradox and Annihilation from Paramount, who felt neither had sufficient box office appeal. Originally slated for a January release by Universal, sci-fi thriller Extinction now heads to Netflix on July 27th. The film, directed by Hounds of Love's Ben Young, stars Michael Peña as a father whose recurring nightmares come true when earth is invaded by a malevolent force. 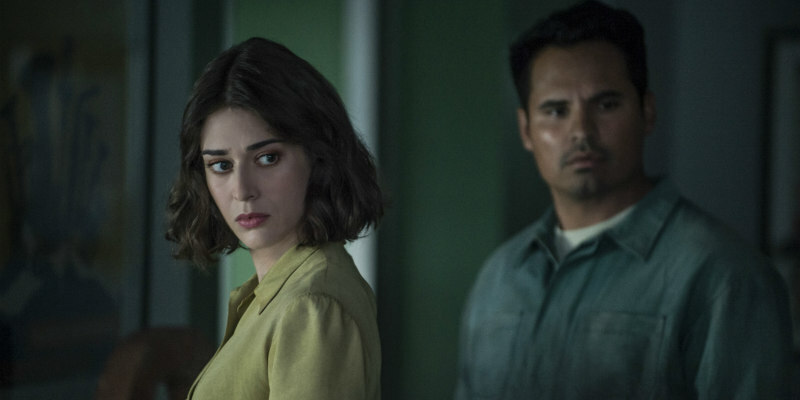 Lizzy Caplan, Mike Colter, Lilly Aspell, Emma Booth, Israel Broussard, Erica Tremblay and Lex Shrapnel also star. Check out the new trailer below and let us know your thoughts.